Discussion in 'UFC Discussion' started by Vitor CroCop, Mar 30, 2019. What say you sherbros? I'd say the cutoff is somewhere around 30 for a phenom A level athlete. Especially a HW. Thoughts? 78 for sure...with a few pops of TBol for good measure. Bowel-forged Stool, MrFreeze, Vegesus44 and 3 others like this. Just make sure your name is Marty from Nebraska and you'll be fine. Are you serious? That is way too old? Davey Crockett and brokendogleg like this. No training in any martial arts or no training in mma? A.S. Deep and thehighking like this. without? hard to say ... 25-27? Lomachenko is 31 and lets say he comes to mma at 33, i think he would need max. 15 months (34), cuz muscle memory is still there, to be a tough fight for pretty much any FW & down. PharoahHeight and antithetic like this. Anyone who ever asks a question like this or "is it too late to do X" will always be a failure in life. updowniri, gapwax, A.S. Deep and 2 others like this. Well said. Just do it, go for it and put your all into whatever it is that you do. Don’t waste time asking what if? Or it is it too late? Mga223, A.S. Deep, Frank McEdgar and 1 other person like this. Obviously depends what you mean by training. Cormier didn’t start mma training til when? But, I believe he trained wrestling much earlier. With a PicoPass 30 for every class under hw. No juicing probably early 20s. As long as you're athletic and there is some aspect of mma that isn't foreign to you, you might do well. It really is a young man's sport though. Most of the really high level guys have been doing some form of combat sport since they were kids. 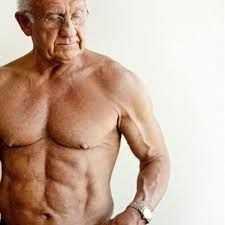 80+, you just need to be jacked and last long enough for the other guy to gas after 3-4 punches. MescalineDreams and A.S. Deep like this.